Quite a few of my friends are discussing that old familiar feeling of overload and over-connectedness. People I know, and even more I don’t know, have shared they are shutting down their blogs or quitting their blog visits, taking a break from the computer, trying to manage their life and in general just questioning their devotedness to being online versus their time with their husbands, family or with God. Many of us can relate to the frantic feeling that comes from doing more than we can handle in one day. All the various discussions reminded me of my post from last year at this same time, The Disconnect Challenge. I thought I would link to it today, as it is as relevant to our Beautiful Life project this year. The world seems to be spinning faster and faster, so I think it is wise for us to figure out how to slow it down! If you are one of the many feeling that overwhelmed sensation, I think it is worth considering how much time you are spending on the computer. Or your blackberry. Or cell phone. Or telephone. Or watching TV. Or multi-tasking between all of those things and maybe 30 other things you think you need to do in a day. Or whatever it is that drains your energy and makes you go through life feeling frantic rather than living a beautiful life. I know I am definitely considering ways I can cut back my time online! This is what our Beautiful LIfe Fridays is all about. Keeping ourselves focused each week on what really matters to us. Challenging ourselves to JUST SAY NO to things that drain our energy. And slowing down the pace to enjoy simple pleasures in life. Turning off the computer and finding beauty in our real lives. Do you love to collect ideas you find in blogland? I used to browse blogs all the time and see great ideas I wanted to remember, but eventually forget where I saw them. I do not have time for elaborate record keeping or cutting and pasting of links, so I am thrilled to have a simple solution (thanks Simplemom)! I have mentioned it before, but Tumblr is turning out to be the greatest tool ever — and to think I nearly forgot about it after the holidays! I shudder to think of all the great things I missed in January (not to mention all the ideas prior to the holidays!)! But I am back using it and I won’t forget about it again. And now that I have figured out how to save a link with a photo, I will never lose track of those inspiring finds! Inspiring Find! 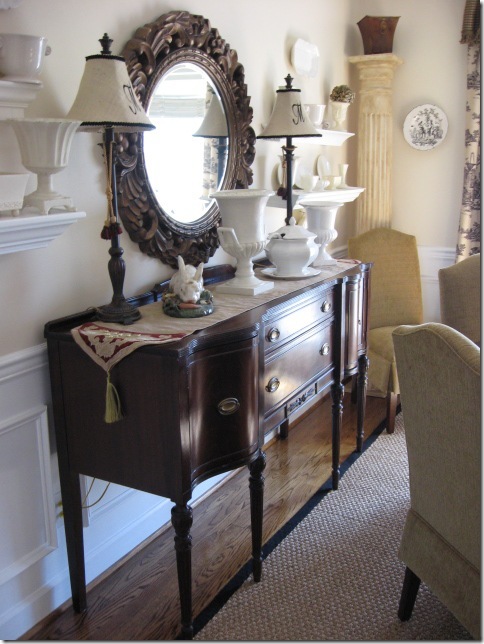 Love this dining room from Rhoda! I’m CHOMPING at the bit to do some nesting in my new home (I’m still waiting on all my furniture from the old house first!). 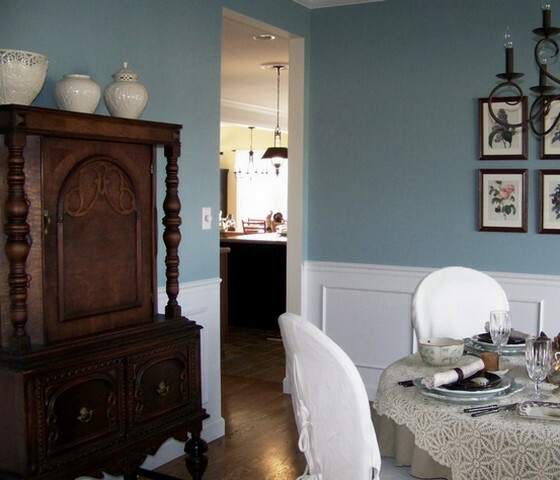 Rhoda’s dining room is the exact layout of mine so I was really inspired by what she did with hers! Inspiring Find! 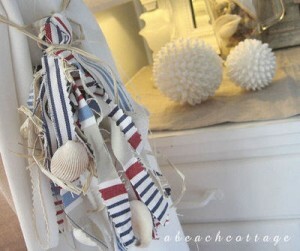 Is this the cutest beach tassel you have ever seen? I have never even seen a beach tassel, but this HAS to be the cutest one ever! I hope you all find some great inspiration from fellow bloggers via my tumblr page! I definitely will be using it more faithfully in the future. Click here to see my most recent Inspiring Finds! I’m planning to share all sorts of links, from decorating, to homemaking to recipes, crafts, money saving ideas and inspiration for living.